Live from the Bridgestone Arena in the heart of Nashville, Tennessee, the 44th Annual Country Music Awards! 8:00pm: Co-host Carrie Underwood kicks the show off right with a good performance of "Songs Like This" in very, very high red stilettos. Also, with Brad Paisley and Keith Urban playing alongside her. 8:04pm: Brad Paisley and Carrie Underwood host the CMAs for the second year in a row. I'm not really sure I understand Carrie's black ruffle-sleeve on her silver dress. Their weird intro-song really wasn't funny. 8:09pm: The CMA's aren't really ever that funny. Case in point: Brad Paisley pretending he confused Lady Antebellum with Lady Gaga. "Are you guys going to wear your meat suits tonight?" 8:17pm: Rascal Flatts performing their new hit "Why Wait". How appropriate that their stage backdrop is "Welcome to Vegas" lights when they look dressed appropriately to be singing in a Vegas lounge. I also find it interesting that every time I hear this song on the radio, I forget that it's them. My vote: "Need You Now"
Winner: "The House That Built Me"
I like Lady Antebellum better than Miranda Lambert, but I knew this was her award to win (I just chose the wrong one). Miranda's onstage look is no better than her red carpet look. Ick. 8:24pm: Carrie is wearing something cute! Yay! 8:25pm: Blake Shelton performing "All About Tonight". He sounds different live. What a change of pace; it means I know it's not your CD playing. 8:33pm: Miranda Lambert performing (on her birthday!) "That's The Way The World Goes 'Round". I don't particularly care for this song, and she's also not my favorite performer. But people seem to love her. I do love that she proves that to be a star in the country music business, you don't have to be Taylor Swift stick-thin. 8:36pm: Cameras pan to Gwyneth Paltrow. She looks confused and out of place. 8:37pm: The MAN, George Strait, performing one of my not-so-favorite songs of his, "The Breath You Take". But you cannot deny what an amazing performer and artist this man is. Confused. They aren't really New Artists... at all. Am I missing something? Luke Bryan deserved that. 8:47pm: Zac Brown Band and Alan Jackson (another oldie but goodie) performing "As She's Walking Away". This performance made me like this song a little bit more than I did just from hearing it on the radio. But God, I love the old-man country singers who rocked out in the 90s. Jackson, Strait, Brooks, Montgomery, the best. 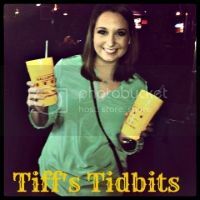 8:51pm: Carrie wears something else cute and normal as she introduces Kenny Chesney performing "The Boys of Fall". I love the idea behind this song and the man behind it, but it's so overplayed in Alabama that I'm already sick of it. 9:00pm: I now know why Leighton Meester is at the CMAs (she is one of the stars in Country Strong with Gwyneth Paltrow). She's also introducing Taylor Swift, who's performing "Back to December" on the piano in a floor-length white gown and fog surrounding her. The fake snow is a nice touch. 9:05pm: Sugarland onstage performing "Stuck Like Glue". They are wearing really weird outfits and dancing very bizarrely. Song is super-catchy though. They had an absurd amount of great singles this year. Definitely shouldn't go to anyone else. 9:17pm: Keith Urban onstage performing "Put You in A Song". His voice is just phenomenal. I think him and Nicole Kidman are such an unlikely pair but she's a lucky lady. He's a class act. 9:21pm: Carrie (wearing an ugly yellow-ish frock) introduces Reba singing Beyonce's "If I Were A Boy"... and not doing it very well at all. She gets a standing ovation, but it must be one out of respect. 9:32pm: Jason Aldean onstage performing "Don't You Wanna Stay"... with Kelly Clarkson. Hmm. I wish he had performed a song of his that I liked, since I really like him. 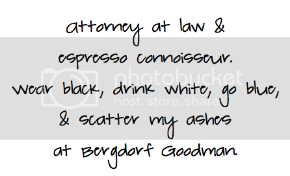 Like his new single, "My Kind of Party". Her third outfit is so much better than anything else she's had on. She looks great and genuinely happy to be winning this award. Blake Shelton looks so happy for her also. Awww. 9:39pm: Detroit's leading cowboy Kid Rock onstage performing "Born Free". Love Kid Rock. Wow. Assumed Brooks & Dunn would take that considering this is their last year. Bummer. 10:02pm: Lady Antebellum performing "Hello World". Not my favorite song of theirs. Stage looks cool with all of the candles though. Oops. I think Keith or Brad were more deserving this year, but I adore Blake Shelton. He's tearing up! So cute. 10:17pm: Carrie Underwood onstage performing "Mama's Song". Never been my favorite of hers. Meh. 10:22pm: Dierks Bentley onstage performing "Up on the Ridge". Weird dynamic for a performance, but good vocals. 10:31pm: Sissy Spacek (seriously?) onstage recognizing Loretta Lynn's great work, and introducing Miranda Lambert and Sheryl Crow in a duet honoring Loretta Lynn... and Loretta Lynn herself just walked on stage. Wow, what a dress. I happen to like Carrie Underwood and Taylor Swift better, but if we are talking about country music, they are much more alternative than Miranda Lambert, who has a true country twang. Shock, it's about time. Congratulations, Brad. A CMAs where Carrie Underwood and Taylor Swift didn't win anything? Hmmm, times are changing. Overall, good performances, a lot of performances, but not overly funny like they tried to be. Country music should just stick to country music. And as far as the fashion goes, there were a few hits and a whooooooole lotta misses. I can't even really give a top five best-dressed and a top five worst-dressed because there aren't really enough best dressed to seriously call them that and rank them. Gwyenth Paltrow took a chance with this dress, and I personally think it paid off, although it didn't really leave much to the imagination. I would imagine a lot of people didn't like this outfit, but I think it works for Julianne Hough. I think she looks really pretty and considerably better than most of the women on the red carpet. Luke Bryan, you look so so good. But your arm candy could use some work. Dierks Bentley cleans up well. Clean, simple, good work. The reason Josh Kelley and Katherine Heigl fall into this category is because I didn't have an opinion when I saw their outfits. And with this bunch of ensembles, that's saying something. Keith Urban looks fine, Nicole Kidman looks like a lace table cloth. Sheryl Crow, what is at the bottom of your dress? It looks like someone took scissors to it. Blake Shelton, nice job. Miranda Lambert, not so much. Horribly unflattering cut and color. 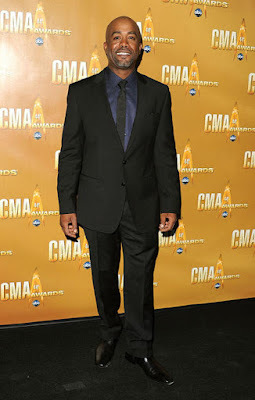 Darius Rucker, I love you. But never, ever, ever, navy blue & black. Sugarland, I'm really not sure I understand the idea of either of your outfits. Especially that bizarre dress print. Leighton Meester, why are you wearing that dress? Why do you look high? And more importantly, why are you starring as a country singer? Oh my god, Kellie Pickler. What is that? Red velvet, silky tiers. Little Big Town looks nice and.. trashy. 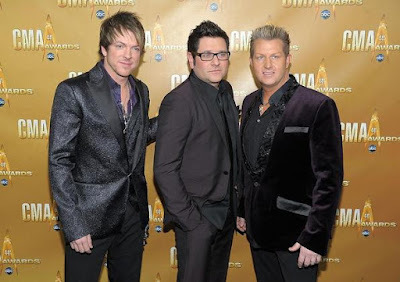 Awesome Rascal Flatts, you truly look ready to go sing in a Vegas lounge. This is uncharacteristically bad for Carrie Underwood, even though her multiple CMA outfits are usually over the top. She also looks pissed she has to be in the dress to begin with. 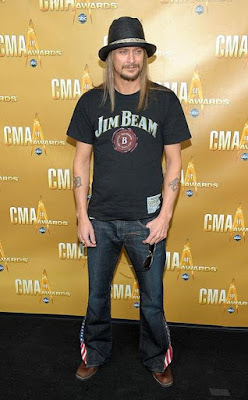 Standard outfit for Kid Rock; no one expected any more from him. The flag jean flares are really a nice touch. Martina McBride literally looks like she is going to be thrown into the oven in her aluminum-foil dress. Ick. I'm not really sure what to say about this. Everyone knows its ugly, but you can't really put your finger on why. Thank you for sufficiently confusing us once again about your life, LeAnn Rimes. I'm not really sure what everyone's stylists were thinking when they put their clients' outfits together for the show. I wonder if they all went out together and got plastered before they dressed the stars for the red carpet? But seriously. Major disappointment on the fashion end of this show.